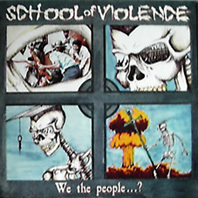 SCHOOL OF VIOLENCE LYRICS - We the People...? Tha man at the top! What of those who lost the race? So stand up with us and stay alive - From Attiture to Action!